WASHINGTON (CNS) — A Feb. 29 symposium marking the start of Georgetown University’s new Center for Jewish Civilization took note of a precarious future faced by many of Europe’s Jews. Potentially more troubling, she said, is a bill being considered by the nation’s ruling Law and Justice Party in which it would be “prohibited to defame the good name and honor of the Republic of Poland by public and false attribution to the Polish nation of involvement in, commission of, (and) responsibility for … the crimes committed by the German Third Reich,” punishable by five years in prison. While Poles as well as Jews suffered at the hands of the Nazis, she acknowledged, some were also culpable of crimes against Jews in World War II, including the burning alive of Jews in one town — a matter of public record, she said, but now at risk of being suppressed. France, another predominantly Catholic country, is home to more Jews than any other European nation, with an estimated 415,000 Jews. France has had its own checkered history with Judaism, according to Hudson Institute fellow Benjamin Haddad, a Jewish citizen of France whose family has North African roots, citing the Dreyfus affair of more than a century ago and a Vichy government that “went further” than what their Nazi superiors sought in terms of reining in Jews in occupied France during the war. Anti-Semitism has taken on a different tenor there. Attacks on Jews, often by Muslims who seem to be “do-it-yourself terrorists,” go hand in hand with attacks against the wider French society, such as last year’s attack at the Charlie Hebdo magazine office in Paris and a simultaneous attack at Hyper Cache, a Jewish market elsewhere in the city, Haddad said. Ira Forman, the U.S. State Department’s special envoy to monitor and combat anti-Semitism, said one young Jew told him all the Jews he knows talk about leaving France, although few actually do. But assimilation into the larger French society also can corrode Judaism, he noted. “You don’t send your child to a (Jewish) day school because you fear an attack. You don’t send your child to a public school because you fear he’ll get beat up,” Forman said. 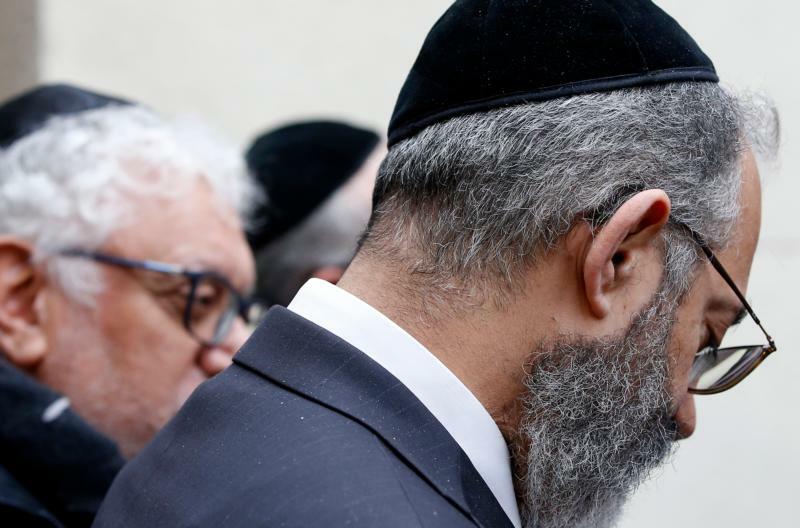 As a result, he added, one-third of France’s Jewish children attend Catholic schools because that is where the parents believe they’ll be safest. Forman said 85 percent of the world’s Jews live in North America and Israel; of the remaining 15 percent, two-thirds live in Europe. He voiced his doubt that Jews would vanish from France of the United Kingdom, where about 270,000 Jews live, but the numbers to dwindle in other European nations to the point of unsustainability. Esther Voet, editor-in-chief of the Dutch Jewish Weekly, said at the symposium that she has had to depend on outside financial assistance to keep her publication afloat because, at 30,000 Jews, the subscription base is otherwise too small to maintain publication. Daniel Jonah Goldhagen, the author of “The Devil That Never Dies: The Rise and Threat of Global Anti-Semitism,” said polls of citizens of European Union nations show strong percentages who believe in many of the “tropes” that have been leveled at Jews through the ages: that Jews run the banking system, that Jews have “a cabal” that manipulates foreign policy, and the like. Yet these percentages, some of reach nearly 50 percent for certain questions, mark a historic low for Europe, Goldhagen said. “Before World War II, it was nearly everybody” in Europe who believed in such distorted views, he added. The Center for Jewish Civilization, part of Georgetown’s School of Foreign Service, was upgraded from “program” status thanks to a $20 million endowment, half of which came from Miami philanthropist and auto dealer Norman Braman and his wife, Irma. About $10 million of the endowment will be used to study Holocaust-related issues at Georgetown.